An MSP business will have many areas where change of service provision becomes necessary. Since technology continuously compounds on itself at Moore’s Law intervals, if you can’t pivot to new provisions, your business will fail; it’s only a matter of time. Accordingly, you’re going to have to make some forays into unknown territory. This will be successful sometimes, other times it will fail. You need to err on the side of caution as pertains to projections this direction in order to maximize sustainability. Crunch all the costs, and then expect the final expense to be higher than the figure which develops. Accordingly, increase necessary revenue return to justify ROI. In this way, you’ll build a financial cushion around such projects. Managers and employees need not be lackadaisical or slovenly. You want people who are well put together, professional, and understand what’s going on. These people need to be dedicated and have some level of personal investment in your company. It’s integral to facilitate these qualities among leadership, but it additionally makes sense to search for such qualities even in your least powerful personnel. Teach resource management as possible, but seek it obliquely, or “on the sly”, during the hiring process. You must regularly evaluate your expenses and trim the fat. Since you’re going to have needs which shift, you will want a financial cushion which surrounds exploits and is flexible. Flexibility is incredibly important in terms of costs. Design management such that needs aren’t undermined. For example, if you’ve got a new team of trainees who aren’t properly educated pertaining to a recent protocol shift, you may have to cut funding to one part of your business so you can get them properly trained. Expect taxes to be 30% to 50% minimum, depending on your region. Additionally, in most cases, remember that about a tenth can be cut from the budgeting of any operation without damaging it. So, figure out where you can shave percentage points off certain regions of your MSP as necessary. Any given MSP business will find troubled financial waters eventually. 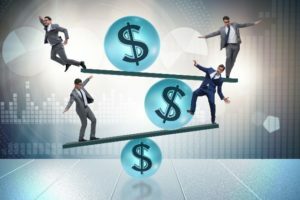 Erring on the side of caution in terms of taxation, exercising the ten percent strategy, flexibility, and proper professional hiring can be some of the most effective strategies for your MSP.